Sweet dreams in any hotel! At home, you can sleep peacefully once you've locked all doors and windows. 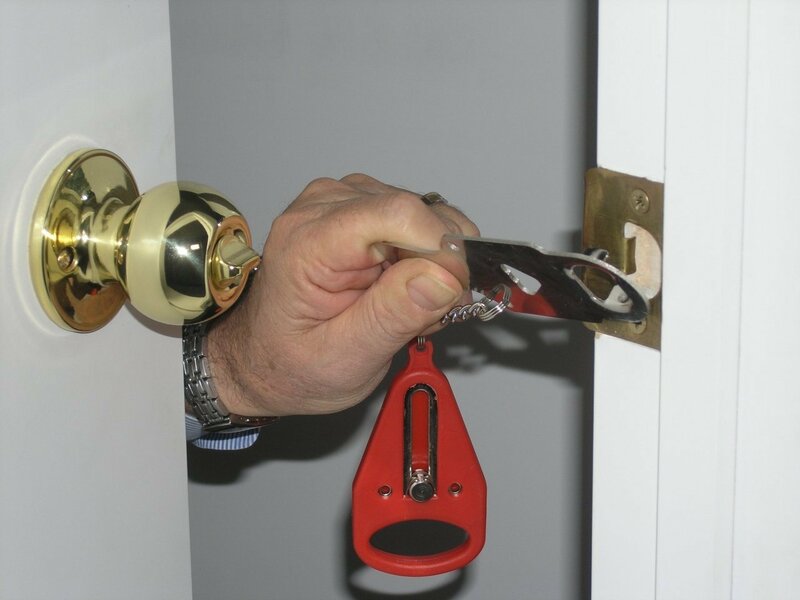 You know that any unwanted guests will have to break through some sound locks before they can get inside! But what do you do on holiday? Are you certain that no one will attempt to break into the room? As a guest, there are things you simply cannot know... How many keys are there to this door? Why does the hotel staff have a key? And how difficult would it be to open the lock to your room or accommodation? The last thing you need on your holiday is to have to feel anxious and uncomfortable! 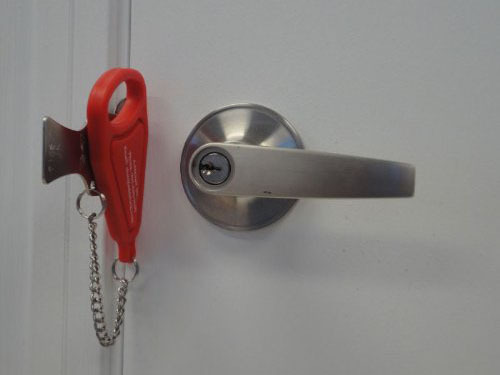 With the Add-A-Lock, you will always carry extra security with you. 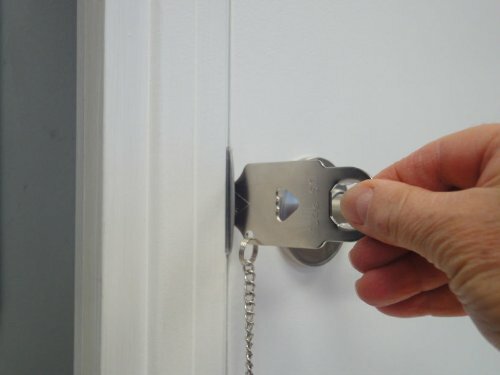 This additional lock literally bolts your door. 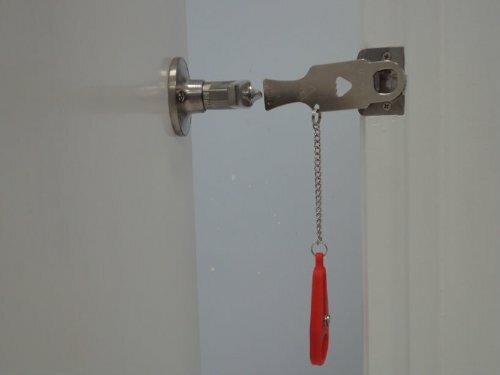 Just open the door and hook the Add-A-Lock claws in the doorframe's striker. Close the door to keep the Add-A-Lock in place. Now you can install the closing pin, which is part of the red handgrip. 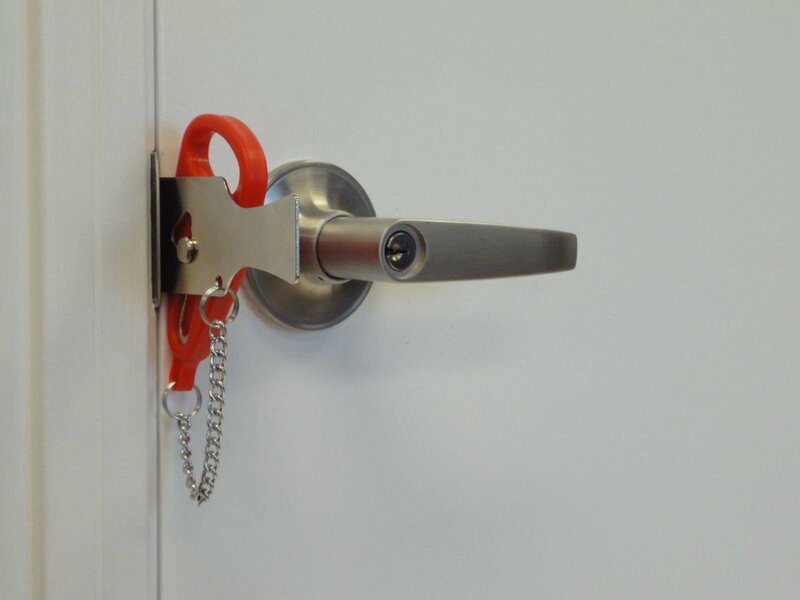 Slide the handgrip with the movable metal pin into the top slot of the Add-A-Lock's body. Let go of the grip to let it descend to its lowest point. And presto: the door is secured in the closed position. Now you can enjoy a few romantic hours together... and have a good night's sleep, of course. Does the installing process sound complicated? Don't fear! The video will be a true revelation. There will be no disturbances with the Add-A-Lock!